We need to talk about cookies, one of our favorite subjects. Not everyone can agree on how to eat an Oreo cookie. Some people tear them apart and eat the creme (you know, like some kind of savage monster). Other people do it the proper way, simply taking a bite and getting an even distribution of creme and cookie. Some people eat them with milk. Other people just eat them solo. The one thing that everyone can agree on when it comes to cookies is that they’re delicious. 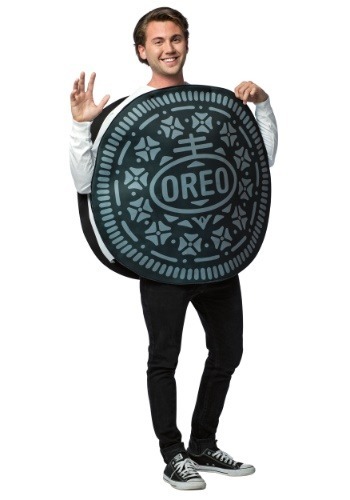 So, when you dress up in this Oreo cookie costume you can sport a delicious look that everyone will agree on. 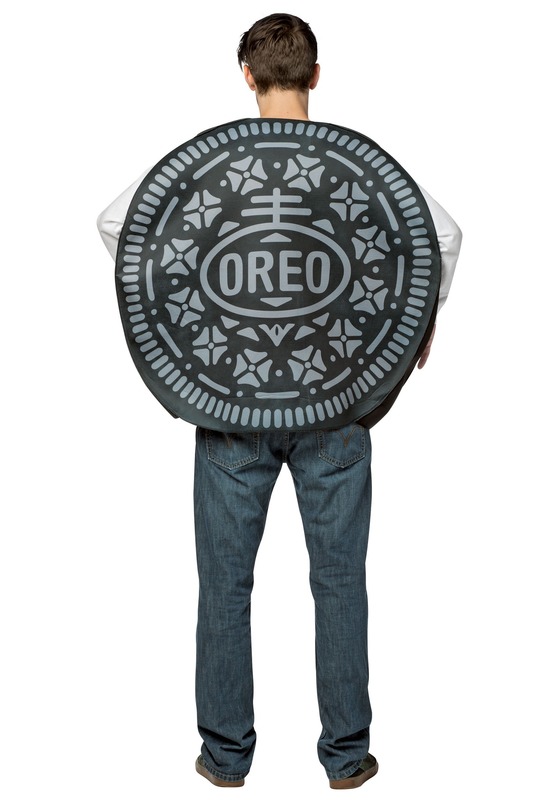 This Oreo cookies costume is a quick and easy way of bringing the cookie community together! Whether they’re the type that eats them with milk or the type that breaks them apart before eating them, this wacky tunic just has a way of putting a smile on anyone’s face. It’s made of a soft-sculpted material and is shaped to look like the classic cookie treat. It has printed grooves and the “Oreo” symbol printed on the front and back. The side of the tunic is white to look like the creme filling on real cookies. Once you have it on, you may just be ready for a little dip in a glass of milk! Just remind your friends, that despite the fact that you look like a delicious cookie, that they should not try to eat you as their afternoon snack.